Skull and letters tattoo by Benjamin Laukis - 305. 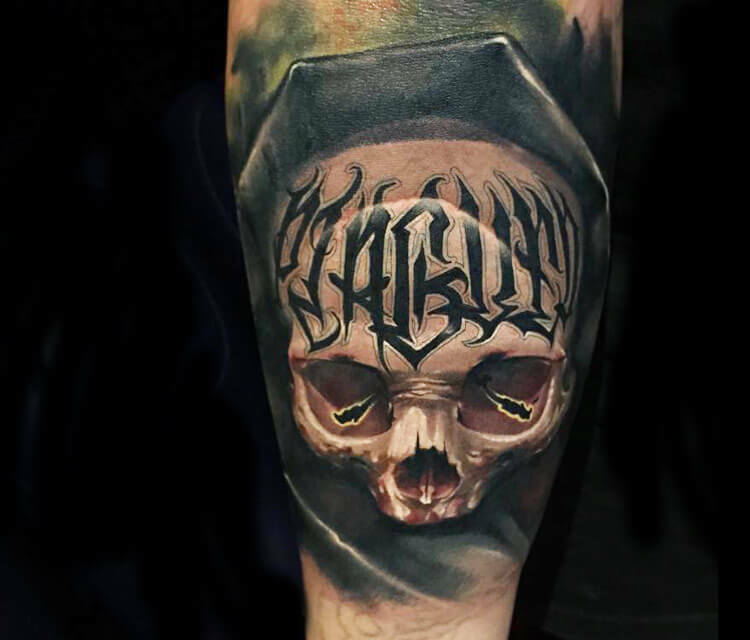 Very nice Skull and letters tattoo by artist Benjamin Laukis, Australia. more info: Start of a Plague theme cover in bobby. Cheers mate. Love letters and love skulls.